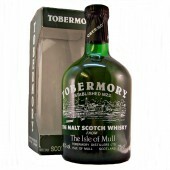 Tobermory Whisky Distillery is the only distillery on the picturesque Hebridean Isle of Mull. This is an Island region malt whisky. Located on the seafront at the south western end of the fishing town of Tobermory. 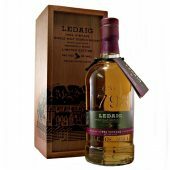 Over its long history the distillery has also known as Ledaig. The distillery produces two different styles of single malts. 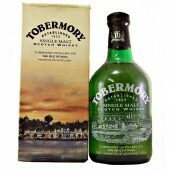 The first one is a gently peated malt called Tobermory. 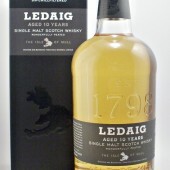 The second is an extremely smokey peaty malt called Ledaig. 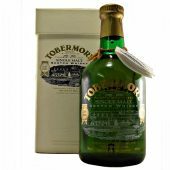 Tobermory (TOBER-more-ay) is derived from the Gaelic “Tobar Mhoire”, which means “Well of Mary” and relates to the well and chapel of St Mary. There was a small Christian settlement in Tobermory from early times. 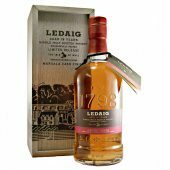 The original name for the distillery, Ledaig (pronounce Led-chig) is also Gaelic and means “Safe Haven”. 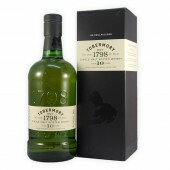 The distillery was closed between 1837 and 1878. In 1890 it was sold to John Hopkins & Co. who themselves where acquired by the Distillers Company Ltd in 1916. The distillery was shut down again in 1928 and didn’t reopen until 1972. With the buildings and equipment refurbished, this time as the Ledaig Distillery (Tobermory) Ltd. However in 1975 the receivers where called in and the distillery was mothballed. In 1990 the distillery resumes production. 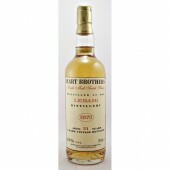 In 1993 Burn Stewart, who’s other distilleries at the time included Bunnahabhain and Deanston, acquired the distillery. Paying £600,000 plus £200,000 for stock. CL Financial purchase Burn Stewart in 2002. They sell the firm onto the Distel Group Ltd in 2013. Location; Island region on the Isle of Mull, Tobermory. Water Source; Local private loch. 5 ton Copper domed cast iron mash tun. 4 Oregon pine washbacks, Fermentation time 50 to 90 hours. 4 pot stills with steeply inclined S-shaped lyne arms. 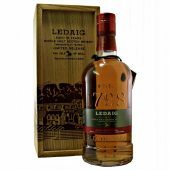 Over the years with all the name changes between Tobermory/Ledaig the brand can look confusing. Under Burn Stewart the branding has become a lot clearer. 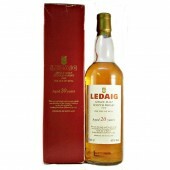 The second is an smokey phenolic peaty malt called Ledaig. 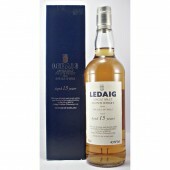 Earlier bottles of both Tobermory and Ledaig can be found in both limited edition and discontinued malt whisky sections. 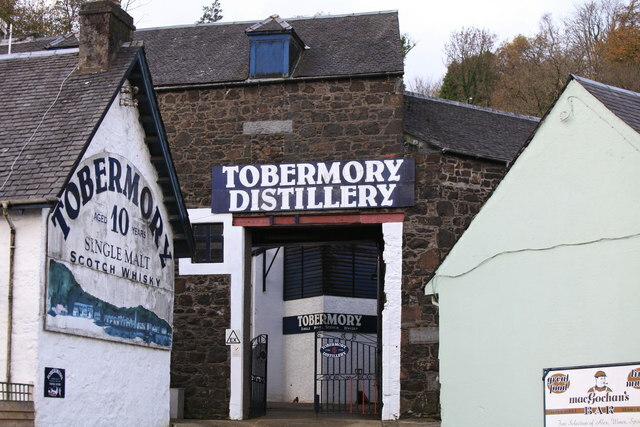 The Tobermory distillery visitors centre is well worth a visit and regularly run guided tours of the distillery throughout the course of the day. A number of the tours include tasting sessions where you can sample some of the drams they have to offer.